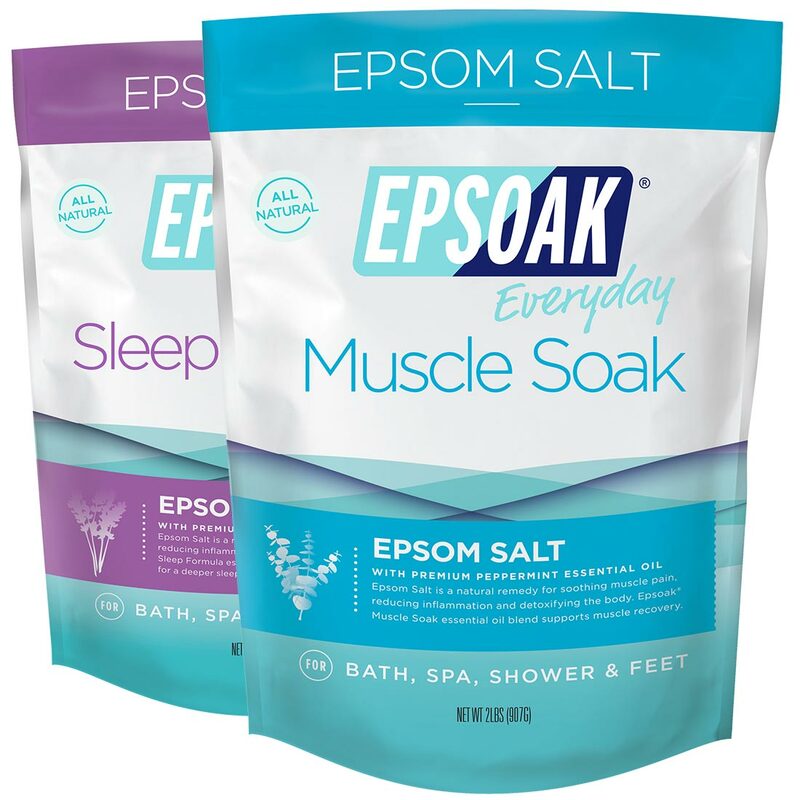 Ultimate Epsoak Epsom Salt Bundle - 2 pack | S. F. Salt Co.
100% Natural soaks made with Epsom Salt. This pack includes one 2lb bag of the both our Sleep Formula (Epsom salt scented with Lavender Essential Oil), and Muscle Soak (Epsom Salt scented with Eucalyptus & Peppermint Essential Oil). Benefits: For general relaxation, and to help soothe muscle aches and pains, cleanse pores, and detoxify skin. BATH & SPA - Add two cups of salt to a warm, running bath. Settle in and soak for 20 minutes to help relieve stress and stiffness. 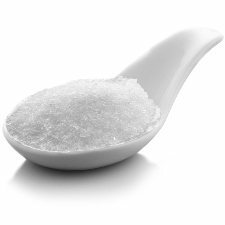 SHOWER - Exfoliate and soften skin in the shower by mixing a handful of salt with a tablespoon of shower gel or olive oil and massage onto wet skin. Rinse thoroughly. 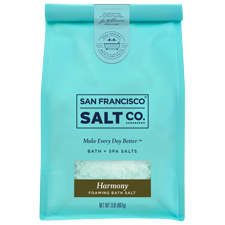 FOOT SOAK - Mix one cup of salt with warm water in a foot bath and soak feet for 10 minutes to help soothe aches and soften rough skin. SLEEP FORMULA: Magnesium Sulfate (Epsom Salt), Lavandin Hybrida Grosso (Lavender) Essential Oil, Tocopherol (Vitamin E), Aloe Barbadensis (Aloe Vera) Leaf Juice. 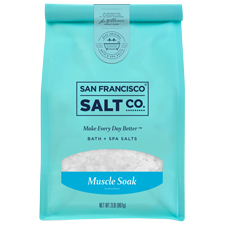 MUSCLE SOAK: Magnesium Sulfate (Epsom Salt), Eucalyptus Globulus (Eucalyptus) Essential Oil, Mentha Piperita (Peppermint) Essential Oil, Tocopherol (Vitamin E), and Aloe Barbadensis (Aloe Vera) Leaf Juice.